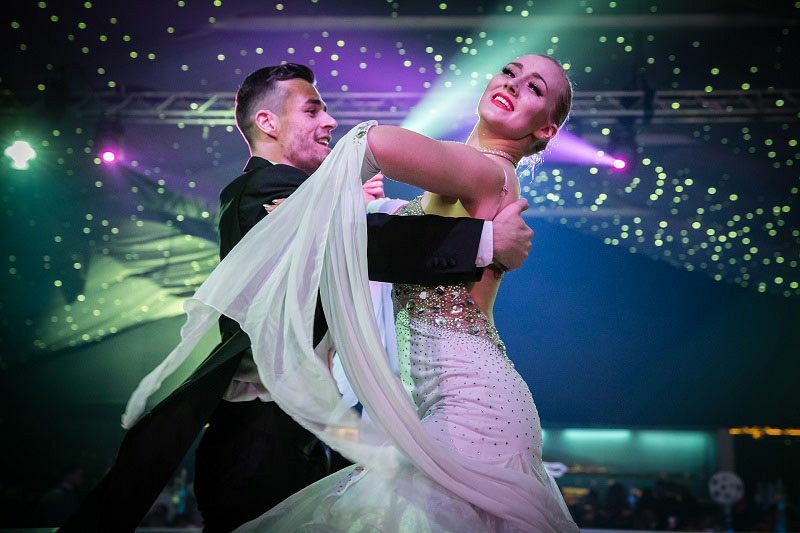 Experience an exclusive Christmas celebration that won’t be forgotten with this stunning ‘Midnight in Monte Carlo’ themed party night that’s situated at a fantastic venue in Nottingham! During the night, you’ll be spoiled with some serious glitz and glamour in addition to outstanding hospitality to provide you and your team with a night of pure indulgence. Ensure you’re dressed to the nines on the night of the event, because this is sure to be a sophisticated affair! On arrival, you’ll take a stroll down the red carpet before you make your way into the venue where you’ll be greeted by an electric atmosphere. Take in the sights of the incredible theming and scenery and admire the ornate columns and marble flooring as the resident singers perform. A selection of sumptuous hot and cold canapes will be on offer, so get ready to tantalise your taste buds as you take in the full and rich flavours, before treating yourself to a delicious ice-cold drink from one of the uniquely themed bars. It won’t be long until you’re seated at your table and served an incredible three-course feast. You’ll be treated to a dazzling display of performers during your meal, including the jaw-dropping aerial acrobats and silk acts, before an amazing fire and pyrotechnic display brings the sensational performances to a close. A delicious cheese buffet will be served shortly after dinner, so make sure you save some room! 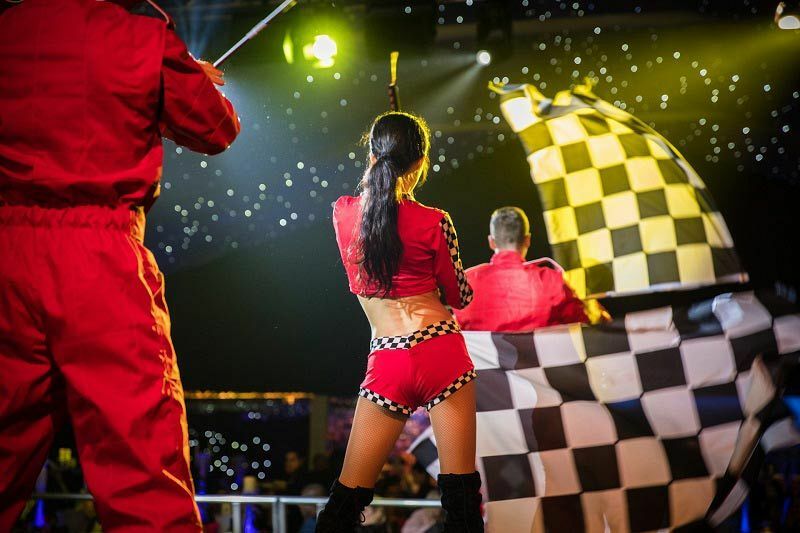 After dinner, the fun continues with the authentic fairground dodgems* and the charity casino where you can try your luck on roulette and blackjack. Strike a pose for the professional photographer, before paying a visit to the state-of-the-art dance floor and partying the night away to the DJ’s top selection of all the latest and greatest tunes. A tasty survivor’s breakfast will be waiting to reward those who make it into the early hours! Send an enquiry through today and experience a night of extravagance in Nottingham like no other! 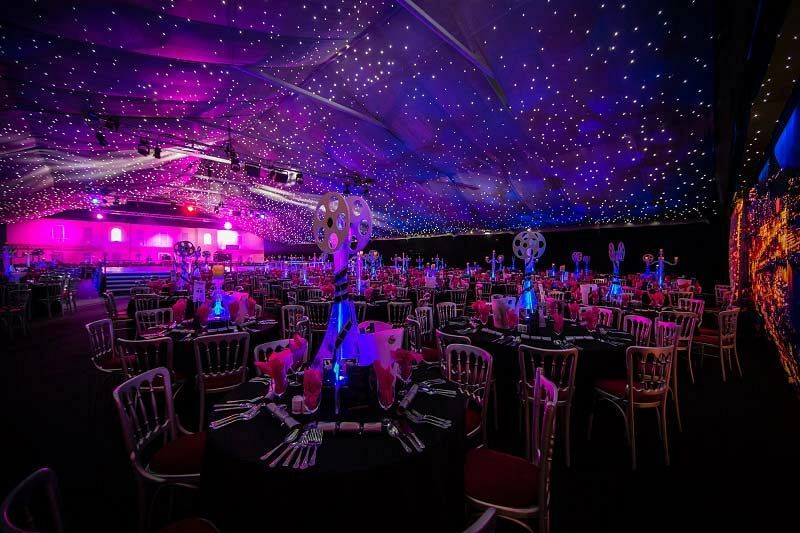 *Please note that hire of the dodgems will incur an additional cost for exclusive events. A small charge also applies for use of the professioanl photographer and the charity casino.